Ding Liren and Ju Wenjun took gold on top board as the Chinese teams won both the open and women’s sections of the 2018 Chess Olympiad in Batumi. Both races came down to tiebreaks, with China tying with the USA (silver) and Russia (bronze) in the open section, while Poland were desperately unlucky to finish only fourth. The women’s race featured incredible late drama that eventually saw Ukraine take silver and Georgia bronze, with Russia finishing out of the medals. Let’s look at some conclusions from the tournament. China are the first team since the Soviet Union 32 years ago in Dubai to win both the open and women’s sections of the Olympiad. Of course they also claimed the Nona Gaprindashvili combined Olympiad trophy, while Ding Liren (5.5/8, a 2873 rating performance) and Ju Wenjun (7/9, 2661) won the prestigious 1st board individual gold medals. 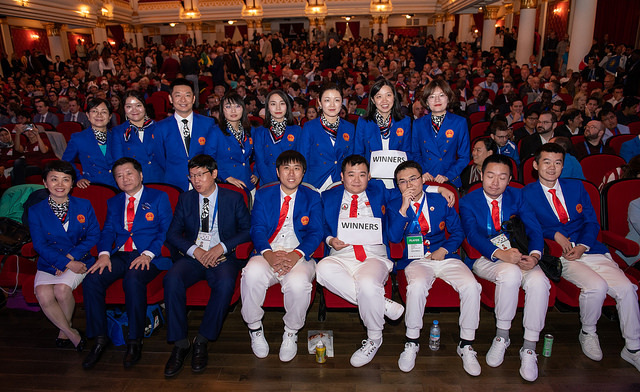 It was a continuation of China’s recent team success, with the Chinese women defending the Olympiad gold they won in Baku in 2016, while the Chinese men’s team disappointed in Baku but won the 2015 and 2017 World Team Championships. Neither victory was smooth, with the Chinese men falling to a shock 3:1 defeat to the Czech Republic in Round 5, drawing 2:2 with Ukraine and winning three of their matches by the smallest possible margin. In the final China-USA showdown a win by either team would have guaranteed gold, but with the cost of defeat so high it was no surprise that the emphasis, at least on three boards, was on solidity. The curiosity was that two of the boards featured identical openings! The one game that looked as though it might produce a decisive result was Nakamura-Bu Xiangzhi. Bu Xiangzhi won a bronze medal on board 4, but his contribution to the team was more than that - three of his wins occurred in matches where all the other games were drawn. Hikaru Nakamura, meanwhile, found himself in the unfamiliar role of being the weak link. He won the first game against a 2300-player, before a sequence of six draws in a row. Those did little harm to the team, but the run ended with a match-losing defeat against Kacper Piorun of Poland. In the end Nakamura would lose 17.3 points in Batumi to drop to world no. 17 and a rating of “only” 2745.7. Sopiko: He can be the hero! Giri: You'd rather be the hero in a risk-free endgame than in a sharp position - he can also not be the hero! In the end, though, neither player was burning any bridges, and the match ended in a tie that meant it was time for the team captains to get their calculators out. 3rd seeds China boast world no. 4 Ding Liren on top board, and if he can extend his streak of over a year unbeaten they’ll have excellent gold medal chances. Yu Yangyi is also on a high, but a lot may depend on whether Wei Yi can dazzle us with some attacking masterpieces again. Ding Liren did indeed make it 87 classical games unbeaten, but after a good start Wei Yi got crushed by Jorge Cori and Jiri Stocek and was dropped by China for all but two of the remaining six rounds. His rating performance: 2578. 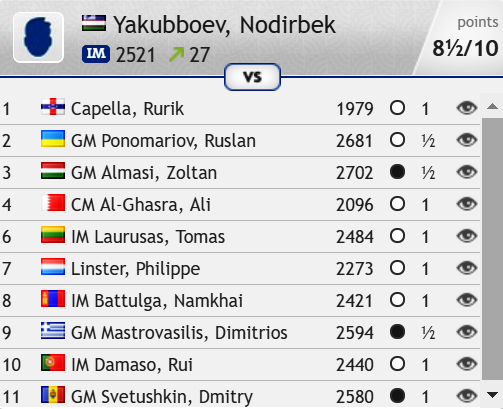 For 2nd seeds Russia Dmitry Jakovenko lost two out of five games for a 2413 rating performance, while Nikita Vitiugov didn’t lose a game but still only performed at a 2645 level. It was a similar story in the women’s section. 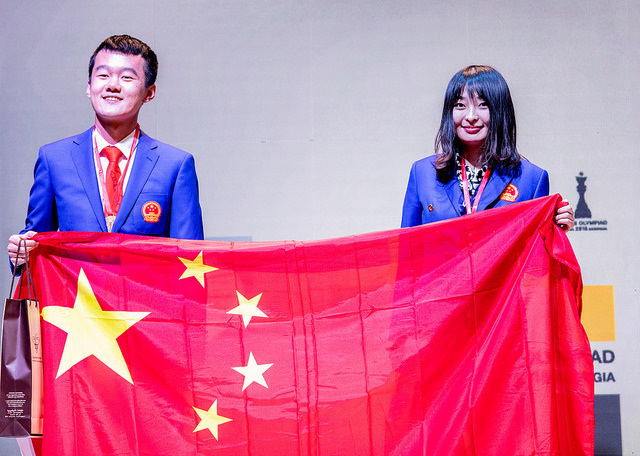 China won gold despite the absence of Hou Yifan and Tan Zhongyi, with one of their replacements, Shen Yang, losing three games, all of which cost her team match points. Again that didn’t prove critical as the other teams had problems of their own. 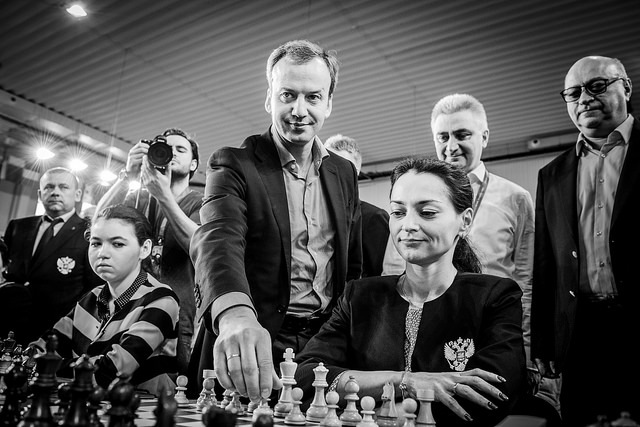 Anna Ushenina lost three games for Ukraine, while Natalia Pogonina lost two important games in a 2222 rating performance for Russia. The one shining exception was the Polish men’s team, whose 4th place finish was their highest since winning silver medals in 1939. They deserved more, however, since they beat silver medallists USA, bronze medallists Russia, and faced perhaps the toughest opposition anyone ever has at an Olympiad. In the last eight rounds they played the top eight seeds! There was no weak link on the team. Jan-Krzysztof Duda (who played all three 2800 players in the event) and Radek Wojtaszek held their own on the top two boards, while the remaining three players were a revelation. Jacek Tomczak won silver on board 4 for a 2808 rating performance, Kacper Piorun took bronze on board 3 for his 2765, and Kamil Dragun’s 2687 performance on board 5 was over 100 points above his current rating. In the end the 3:1 loss to China in the penultimate round deprived Poland of medals, though it was still everything to play for in the final round. They drew against India, which would have been enough for medals if there had been a winner in the top match, while if they’d beaten India they would have had better tiebreaks than China, Russia and the USA and taken fully deserved gold medals. Alas, it wasn’t to be! In 2016 Russia went into the final round in 2nd place, knowing that if they beat China they’d take gold medals. Midway through the match it seemed that was just what would happen, but then it all went wrong and they lost to end in fourth place. Fast forward two years and the scenario played out once more, with only minor alterations. This time Russia started the day in 5th place, but a win would again tie them with China and bring home medals. Instead they again finished in 4th place after a gut-wrenching match. 33…Nxc5! 34.dxc5 (of course 34.Nxc5 Qb1#) 34…Be5! 35.Ba6 (again 35.Qxe5 Qxb3+ 36.Kc1 Qb1#) 35…Qxa6 36.Qxe5 Qd3+ and Shen Yang soon had to concede defeat. After the automatic recapture Black is still winning, but 54.Rf5! saved the day. There’s no way to avoid perpetual check, as became clear after 54…Qb6 55.Qc4+ Kb7 56.Rxf6 a2 57.Rf7+. 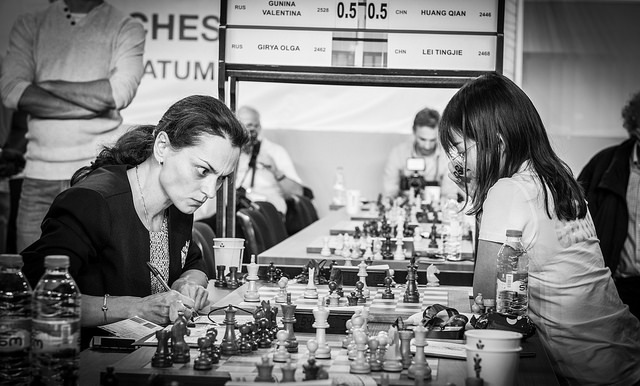 The draw in that game meant that all now rested on whether Alexandra Kosteniuk could hold a marginally worse position against Ju Wenjun. The sudden, immense pressure was obvious for all to see. When the claim was finally ruled incorrect play continued with two minutes added to Ju Wenjun’s clock, but by this stage it seems Kosteniuk's nerves were shattered. Instead of passive defence she attempted to force a draw with an attack on the black king, but it backfired badly and, a piece down, she conceded defeat on move 95. That was the last game to finish in the women’s section! Still, the system is the system, and sometimes you win, sometimes you lose! For all the drama, the top three seeds in the open section finished in the top three places, while in the women’s section it was the top four who finished from 1st to 4th. That was still a disappointment for Russia who, as in 2016, were 4th in the women’s section and took only bronze in the open. They’re not doing themselves any favours this year by excluding two of their strongest players… a luxury that most teams cannot afford. And it may turn out it’s a luxury they cannot afford either! Overall the tournament was pretty tough. I scored +5 in the end (5 wins and 5 draws). In the match against Peru Jorge Cori cynically played for a draw, but in the other drawn games I wasted an advantage of around +30-35 according to the computer evaluation. For example, in the game against McShane I was winning, but I decided to play more solidly so that we won the match against England with no risk. Against Anand I had an overwhelming position but missed a not so difficult win. In the matches against Italy and Georgia it was the same. It’s probably not something I can really complain about, but nevertheless, I of course should have scored much more. That’s partly why our tiebreaker turned out worse than that of China and the USA. Nepo gets to play so many ideas and he didn't find one, I think, in his life! He is such a great parasite, but in a good way... I don't think he works himself, at all. It was game over by move 24. 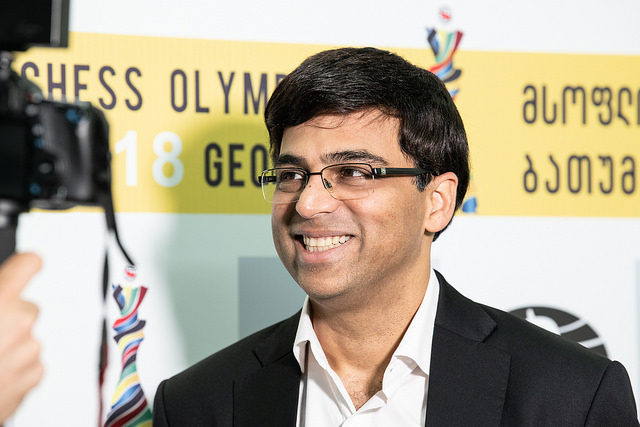 Perhaps our expectations were too high when Vishy Anand and Humpy Koneru returned to teams that had already managed to punch above their weight and finish in the top 5 in previous Olympiads. Gold medals seemed an outside possibility, but although neither team particularly underperformed (in fact everyone but Vidit on the men’s team performed above their rating) they failed to engage in a fight for gold. Both teams were seeded 5th, with the men finishing 6th and the women 8th. 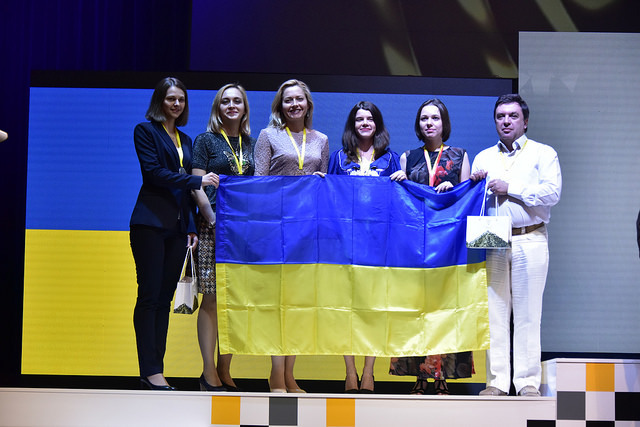 The same story was repeated elsewhere, with Vassily Ivanchuk’s return unable to energise Ukraine for a repeat of 2016 and stars such as Levon Aronian and Maxime Vachier-Lagrave not quite able to lead their teams to heroic victories. 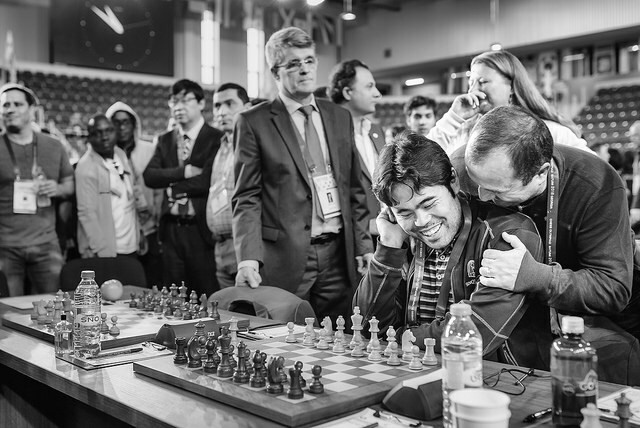 The Chess Olympiad often isn’t a place for romance, at least not at the board! In 2016 the only teams to finish unbeaten in the open section were champions USA and… Greece. In 2018 it was Germany who “did a Greece”, winning five matches and drawing the remaining six, though that was only enough to finish in 13th place. Daniel Fridman was the hero, scoring 7.5/9 for a 2814 rating performance that won him personal gold on board 4. They were also kept company there by 10th seeds Israel, who finished 39th. We mentioned the young Iranian team as one to watch at the Olympiad, but although they did perform slightly above their seeding (finishing 17th instead of 23rd), a difficult run midway through the event meant they’ll need to wait another two years to make a real impact. 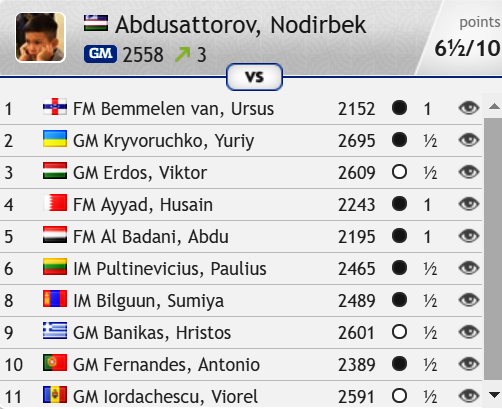 12-year-old 2500-rated Javokhir Sindarov didn’t play in Batumi, but if in two years’ time those kids can be still be combined with the experience of Rustam Kasimdzhanov on top board it’s going to be a formidable team. 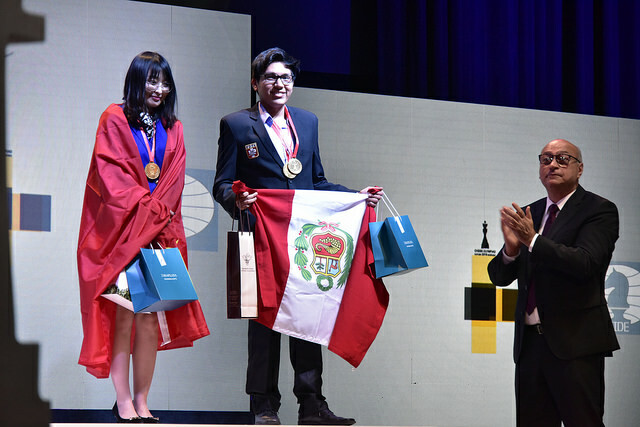 Peru finished a disappointing 49th, but they had the top performer at the Olympiad, 23-year-old Jorge Cori, whose 2925 rating performance on board 3 bettered that of Ding Liren (2873) and Fabiano Caruana (2859). Ian Nepomniachtchi should perhaps be grateful if Jorge played for a draw in their game! As you can see, one perfectly acceptable “trick” at the Olympiad is to choose your team selection for each match to keep a player on the same colour! 6th place for Armenia and 7th for the USA doesn’t begin to give an impression of how well the two teams performed. Armenia drew against China, beat Russia then beat the USA in consecutive rounds, and would have gone into the final round tied for first place if one of their players hadn’t stumbled into a stalemate cheapo against Azerbaijan. They lost 3:1 to the powerful Georgian team in the final round. The US team led after six rounds, with stunning performances in particular by Irina Krush (an unbeaten 7.5/9) and 16-year-old Jennifer Yu (8/10) before the final round. 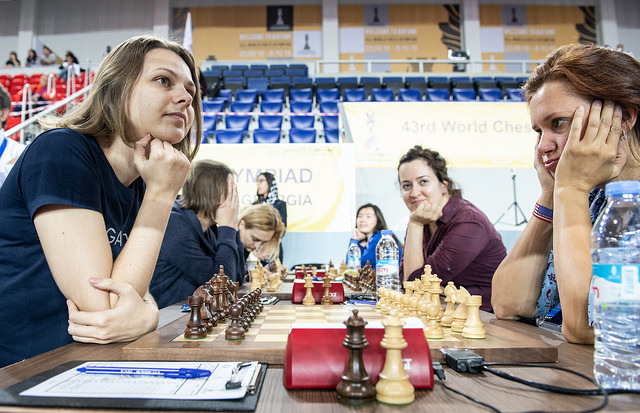 Alas, they both lost their first games of the event in a 3:1 defeat to Ukraine, but it didn’t stop Jennifer claiming an IM norm and bronze on board 5, while Irina Krush took silver on board 2. Every four years the Olympiad coincides with the FIDE presidential election, and for as long as many can remember that’s always meant the same old story: a fiercely fought election campaign ends with the incumbent president crushing the latest challenger. This time, though, the acting FIDE President Georgios Makropoulos was unseated 103:78 by the new FIDE President Arkady Dvorkovich (for more details, see here). Let’s hope this is the start of positive change in the chess world. 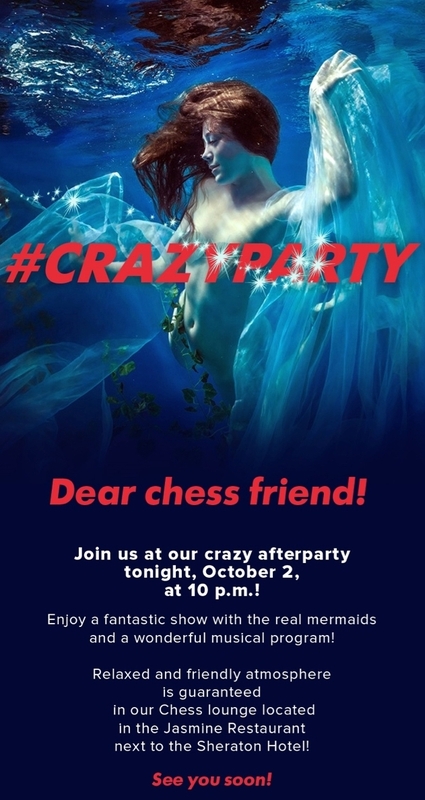 After all, for anyone who can produce “real mermaids”, a FIDE that works for the benefit of chess and sustainable commercial sponsorship should be a piece of cake! 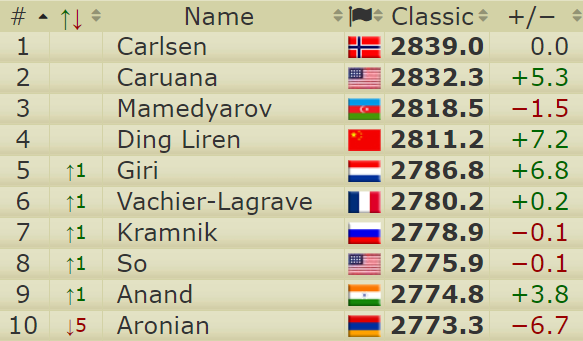 It was looking shaky for a while, as Fabiano Caruana beat Vishy Anand, Boris Gelfand and Shakhriyar Mamedyarov over the space of four rounds before missing a forced mate against Jan-Krzysztof Duda, but at the end of the Olympiad Magnus Carlsen continues his 7-year reign as world no. 1 with a 6.7 point lead at the top. 17.g3 had been played after a 27-minute think, allowing Ding Liren to force a draw with 17…Rg6 18.Nxc6 Rxg3+ 19.hxg3 Qxg3+ and perpetual check. Fabiano Caruana may now play no official classical games until his match with Magnus starts in London in just over one month’s time, but there’s less than a week to wait until we’ll get to see the World Champion in action in the European Club Cup. 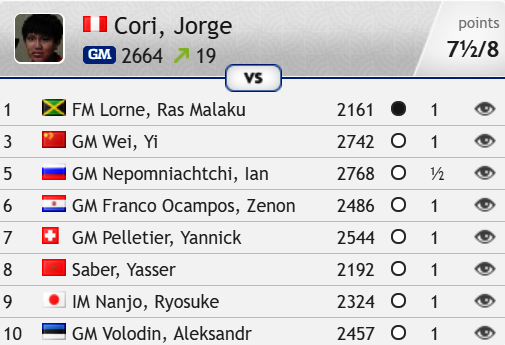 You’ll be able to follow all those games live here on chess24! There’s a little more business to attend to before that for Magnus, who will play the PlayMagnus Challenge in Hamburg this Monday. Some of his opposition is surprising! First we’ll all need a couple of days to recover from the exertions of the Olympiad! 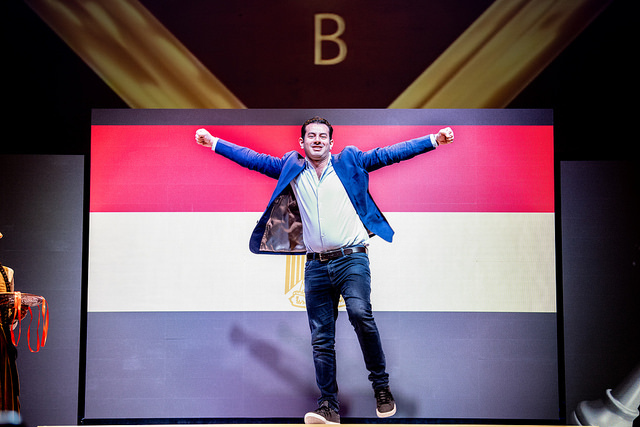 Batumi Olympiad 5: Shak attack!